These days, museums are common everywhere but many can feel highly sanitized with areas cordoned off, exhibits out of reach and numerous "do not's". 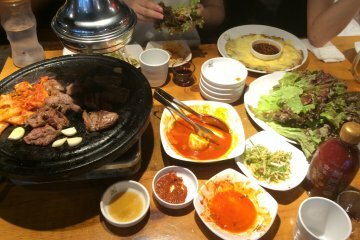 If you're craving an authentic experience, you may be left feeling disappointed. 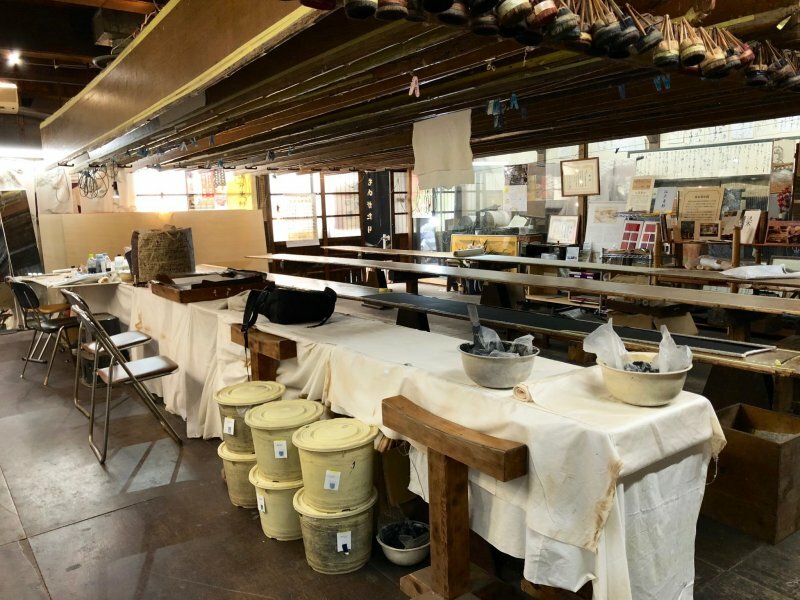 However, at the Tokyo Some Monogatari Museum, not only can you get a hands-on craft session and immersive workshop tour, you'll also get to peek into the exclusive world of kimono silk dyeing. What a rare chance that is! Those interested in traditional Japanese arts or kimonos are in for a treat. Located in the Shinjuku ward by the Kanda River, Tomita Some Kogei, or Tomita Dye Craft, has a long history as a kimono dye workshop that specializes in Edo Sarasa and Tokyo Some Komon. Edo Sarasa is a dyeing technique imported from the Middle East, India, Thailand and Java that produces exotic, vividly-covered and richly-patterned kimonos. 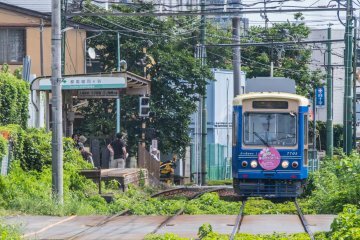 In contrast, Tokyo Some Komon is a style of finely-patterned kimonos with a simple understated beauty. Family business started by the Asakusa River in 1882, Tomita Some Kogei moved to its current location by the Kanda River in 1914 after the water in the Asakusa River receded, leaving a level that’s too low to be ideal for washing kimonos, an essential step in producing these traditional garments. 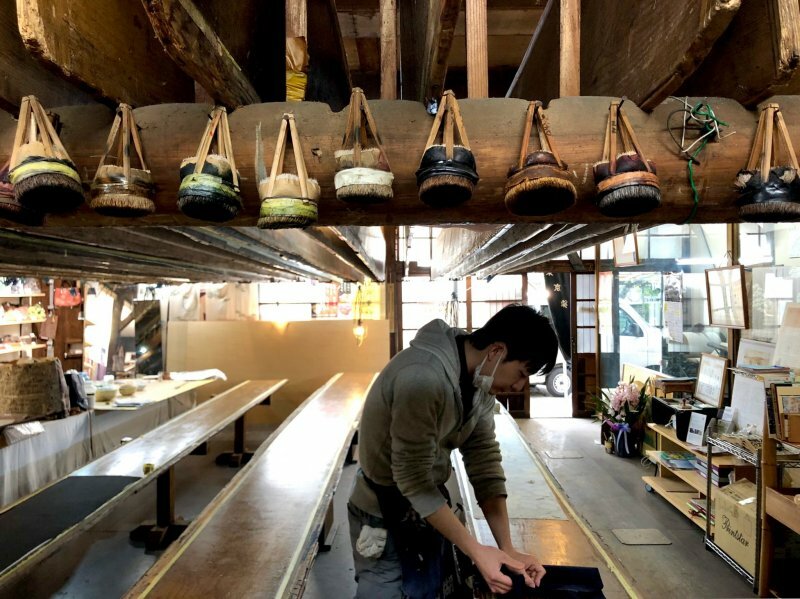 Washing kimonos in the Kanda River would have continued had it not been prohibited in 1963. 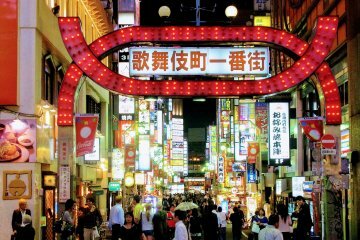 As Japan prepared for the 1964 Tokyo Olympics, the local government called for a citywide cleanup of streets and rivers. These days, Tomita Some Kogei dyes kimono silk by a combination of traditional and modern means. The 5th generation family business is helmed by the genial Atsushi Tomita, who has incorporated contemporary designs and products into the company’s repertoire. The workshop also began offering tours and handicraft sessions (2 or 3 hour sessions) to visitors in 2014 to spread appreciation on Edo Sarasa and Tokyo Some Komon prints while offering insights into how they are made. 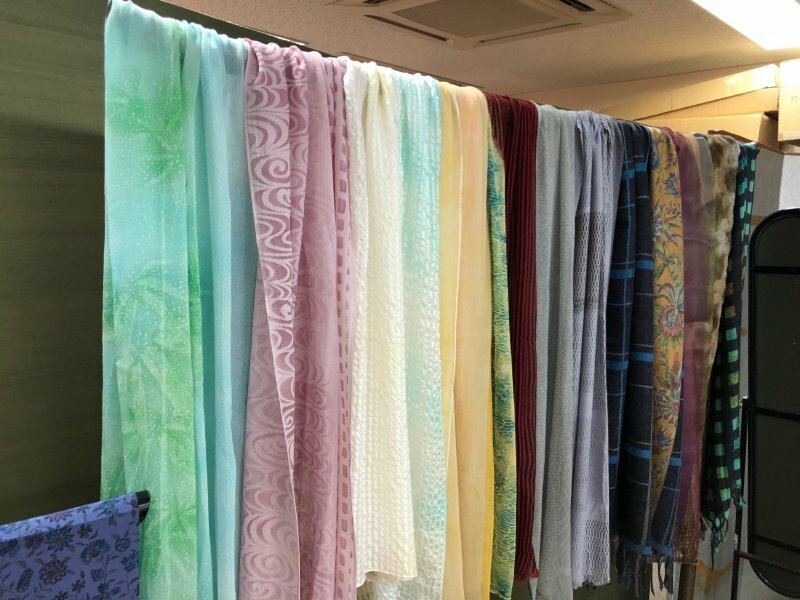 And did you know that, of the many silk dye artisanal workshops in Japan considered to produce the 2020 Tokyo Olympics and Paralympics official scarves, Tomita Some Kogei won the project? 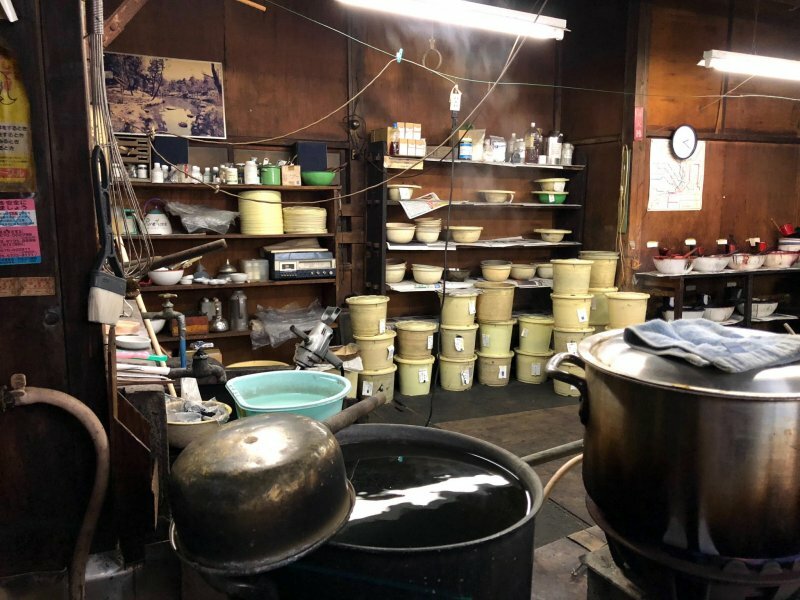 Stepping into the premises of the Tomita Some Kogei workshop, visitors would feel an authentic charm that could only have been attained by its long history of operation. For my tour, I was led by Hitomi, who is relatively new to kimono dyeing, having started her apprenticeship four months ago. Her day-to-day tasks include practice in dyeing the delicate silk fabric and leading tours around the workshop. 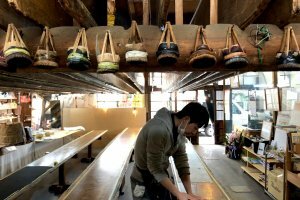 To begin the tour, I was led upstairs to the expansive tatami room on the second floor where I was then seated on floor cushions along the rows of low tables to watch a video. 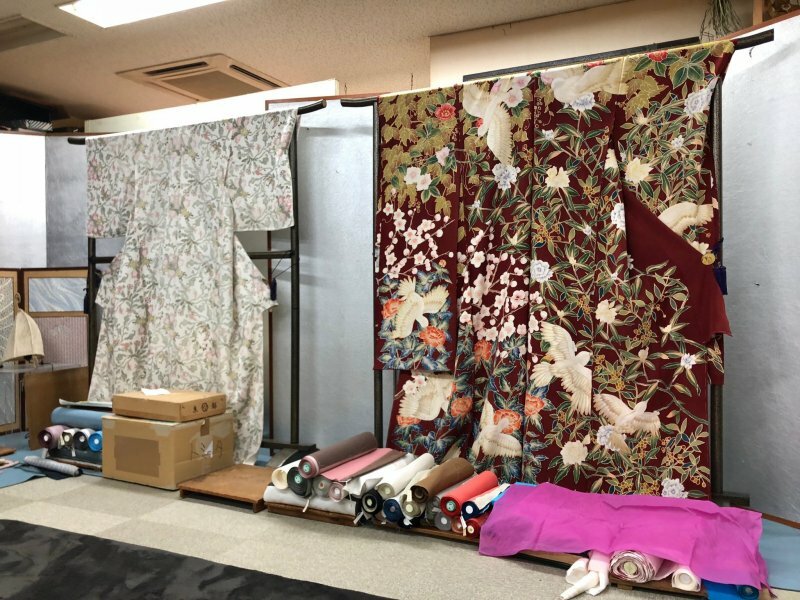 The video depicts the process of making printed kimono fabric from beginning to end. 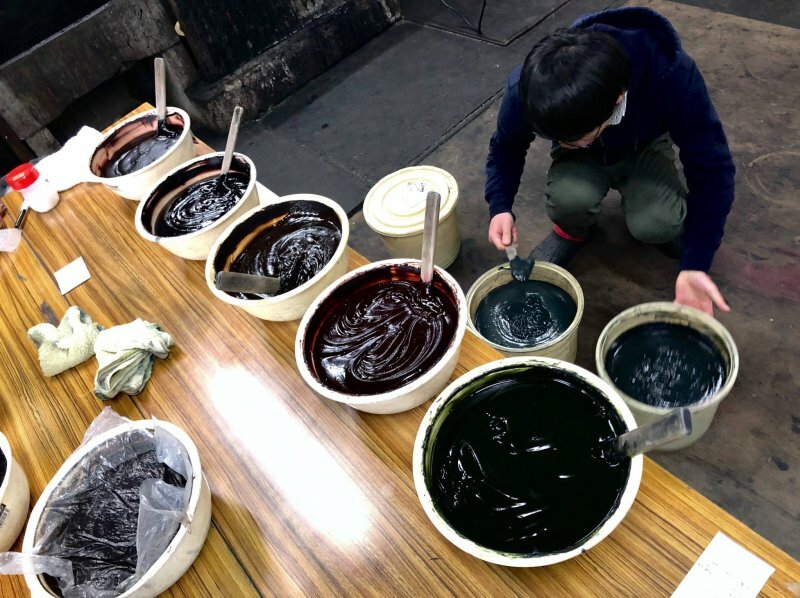 Especially captivating are the clips where the artisan carefully applies dye on the fabric over a washi (paper) stencil and when the half-finished kimono rolls are being rinsed in the river, long spans of thin silk unfurling in the flowing water. When the video finished playing, Hitomi brought me downstairs again to the front of the workshop to start the handicraft session. Over here, the room is filled up by long wooden tables that stretch from one end of the room to the other. 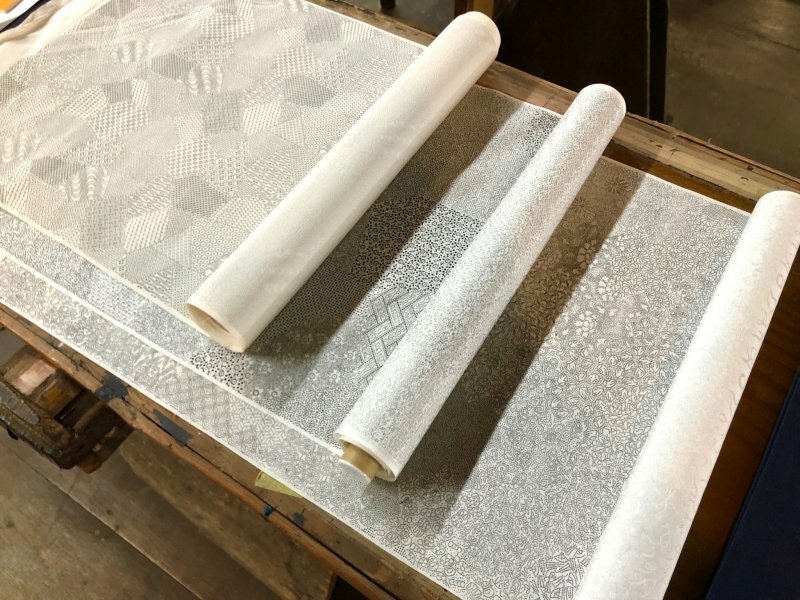 The table surfaces are made sticky so that plain rolls of fabric will adhere securely to the tables for smooth printing. Starting the session, twelve designs of floral Nihonga (Japanese art) were placed before me. I was asked to choose one to be printed onto a cotton navy tote bag. 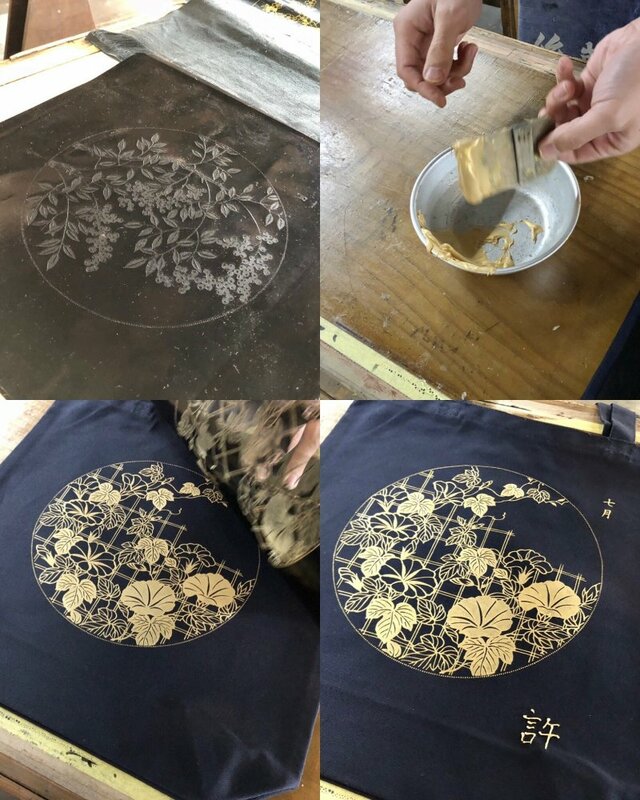 After picking out a design, the stencil was placed over the bag and I was guided in using an applicator to spread the gold dye evenly over the surface. That was the only stressful moment of the handicraft session! Fortunately though, I was given a piece of paper to practise on beforehand. 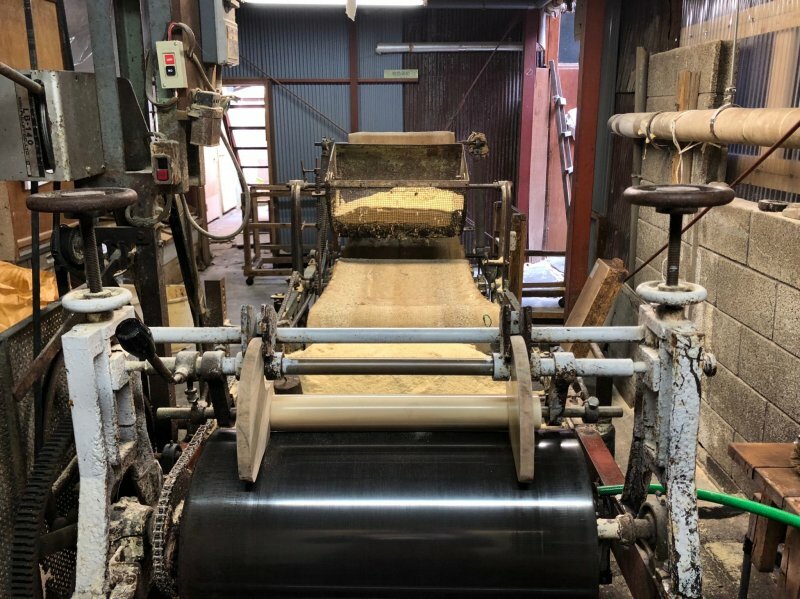 When the dye application was completed, we resumed the factory tour while the now-printed bag was sent for processing. 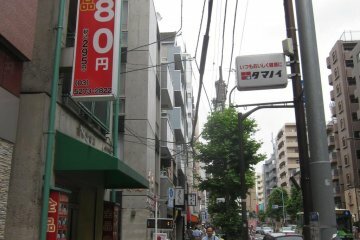 Next, we proceeded to the shop beside the workshop where people can send their kimonos in for repair or cleaning, or purchase new kimonos. 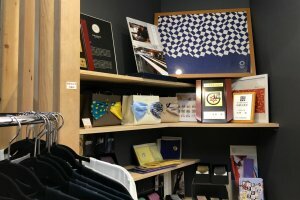 Inside the shop was a bright array of kimono stoles, some ornately-designed kimonos spread out on display and a huge collection of books on kimono. 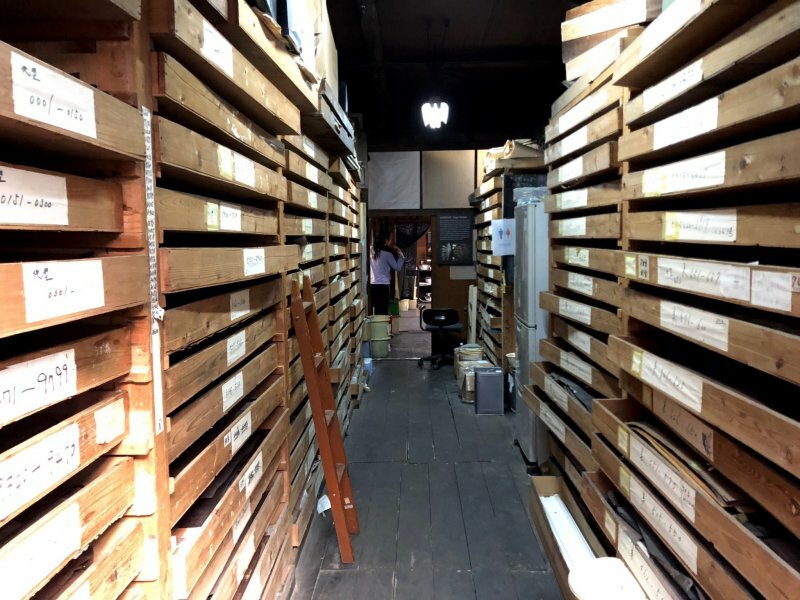 We then moved on to a corridor that is lined with trays of washi stencils on wooden shelves. 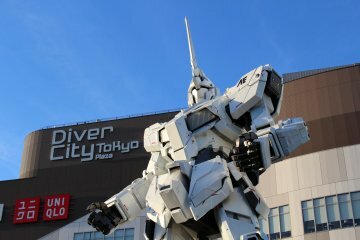 According to Hitomi, there are 120,000 stencils here! 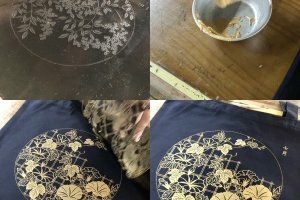 These stencils are known as Ise-katagami paper stencils, which were made in Mie prefecture (previously known as Ise Province). 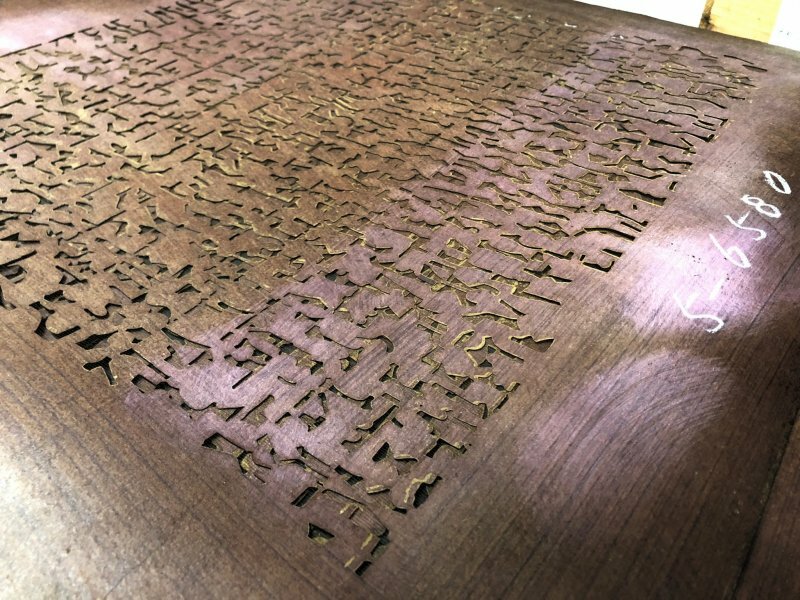 The stencils are made by gluing sheets of washi together with persimmon juice, then attaching a fine silk net (or in the past, a net made from human hair), and finally knife-carving designs onto them. 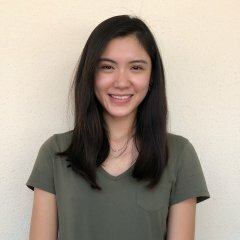 The more intricate the design, the more fragile the stencil. Moving on, we went to the dye room, where the dyes are prepared and stored. The room was filled with bowls and tubs of richly-hued dyes from red to green to orange, reminding me of delicious jams and pastes. 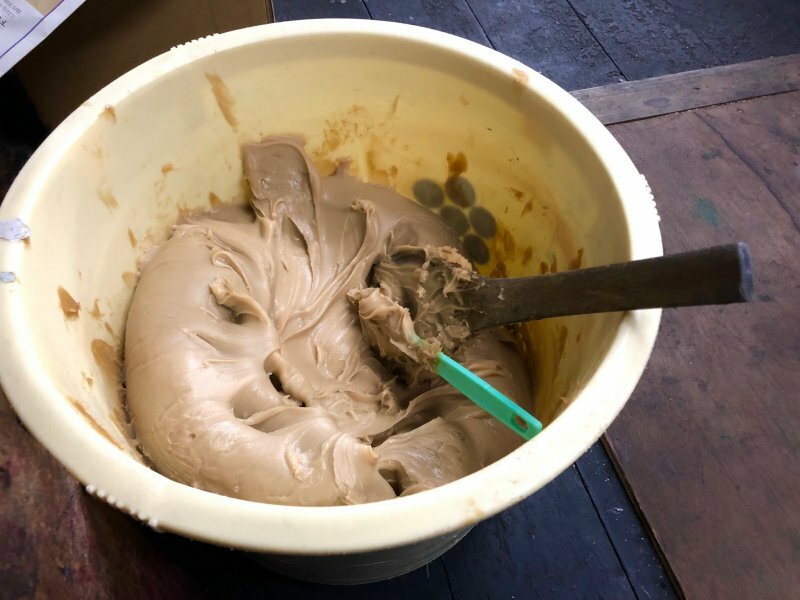 I saw a tub resembling peanut butter that was actually Shironori, a mixture of rice bran, powder and salt that’s indispensable in the dyeing process. 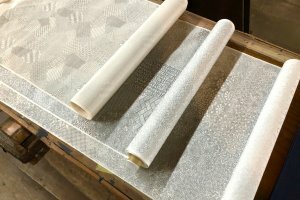 Shironori is used to remove the masking solution that is used to print patterns onto the silk. In another corner of the room, a fresh dye was being made in a steaming huge pot. Dyes are mixed and adjusted until the desired shades are attained. 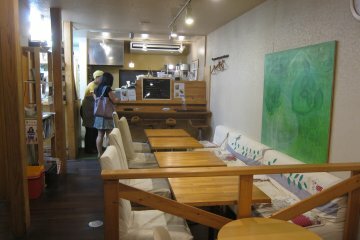 The whole setup reminded me of a homely kitchen, but alas, everything in there was disappointingly inedible. Then comes the large machine which presses dye onto the entire 13 meter length of each roll of kimono cloth. It’s topped up with generous heaps of sawdust which help keep the damp fabric from sticking together. This is the final layer of dye which is applied to the whole piece of fabric after the initial patterns have already been printed on. 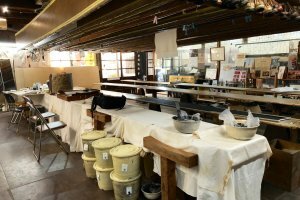 In the rear of the workshop, Hitomi showed me the steam box and wash area for the dyed kimono cloths. 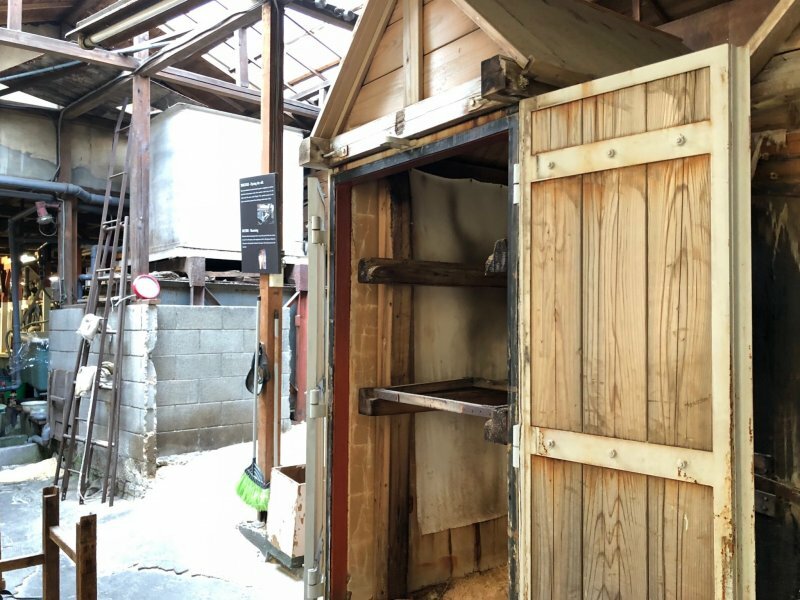 The steam box resembles a garden shed and is used to help the dye permeate the fabric evenly. Last comes the washing, which is one of the final steps of the labor-intensive art! 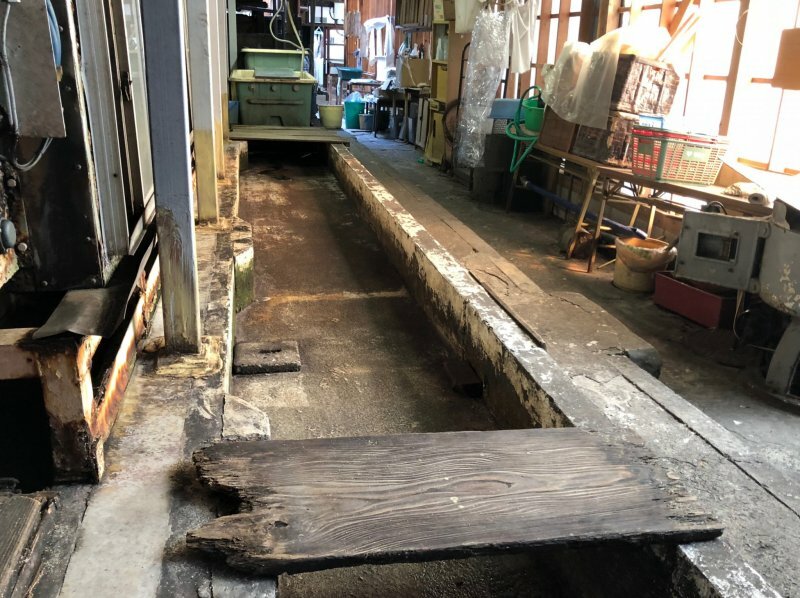 After washing in the Kanda River became prohibited, Tomita Somei Kogei turned to rinsing their kimonos in-house instead with a very long trough-like sink to accommodate the lengthy fabric. The remaining steps would be to dry the fabric and iron it. With that, I was brought back to the front of the workshop as the tour came to an end. 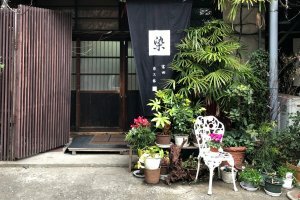 At Tokyo Some Monogatari Museum (Tomita Some Kogei), the tour experience feels satisfyingly genuine, with the workshop still in operation today and not merely transformed into a tourist hotspot. 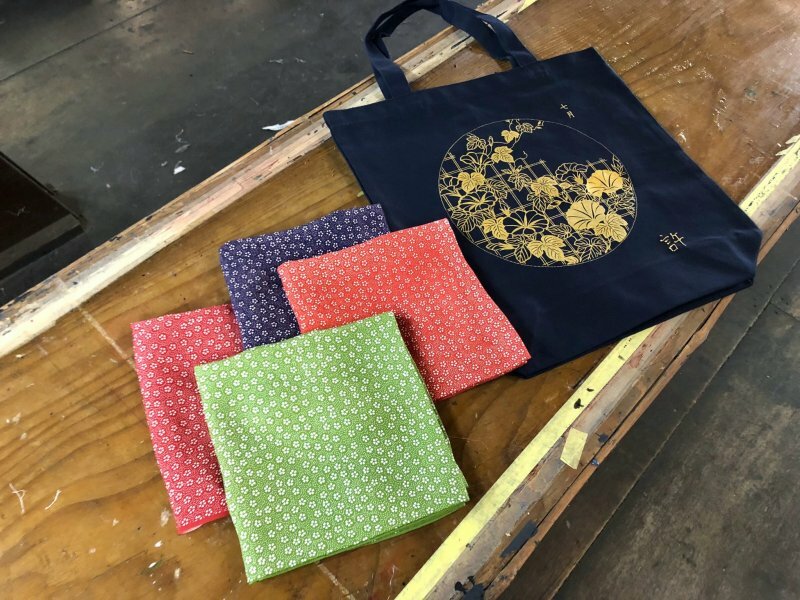 What’s more, you can even bring home your own creation from a printed tote bag to a fukusa (money bag) cloth - which can double as a scarf too - or a piece of patterned cloth. Apart from a few information boards dotting the place, the workshop is kept in its original condition for day-to-day operations. The tour and workshop is available from Monday to Friday, 10:00–12:00 or 13:00–16:00. A reservation has to be made in advance with at least 5 people in the visiting group. 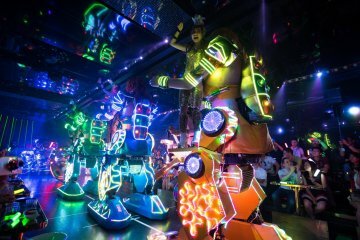 An eye-opener into the world of kimonos, the experience would most likely suit the arts and culturally inclined. 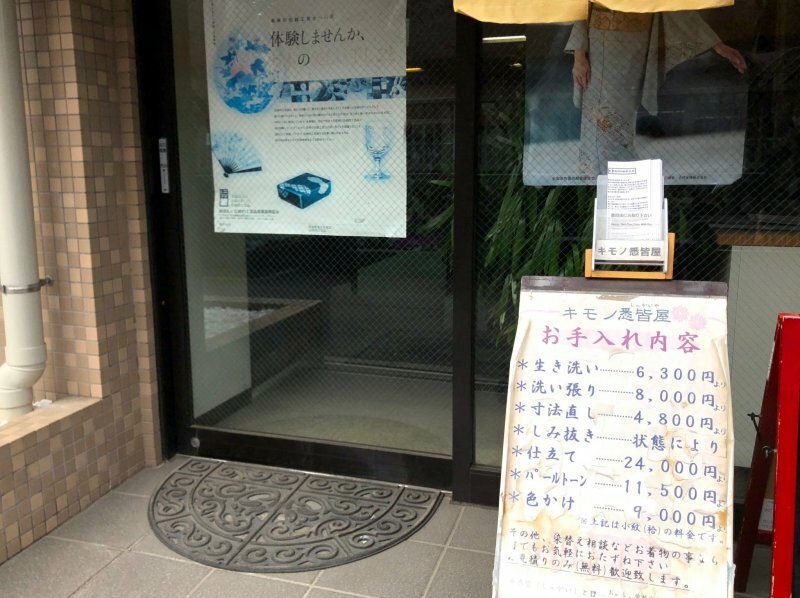 If you have a few hours to spare in Tokyo, consider visiting Tomita Some Kogei! Amazing craft! 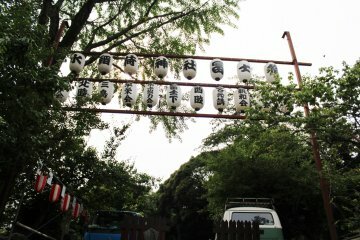 I always admire any japanese craftmanship.